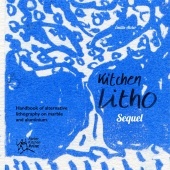 Kitchen Litho Sequel, alternative lithography on rigid aluminium plate and marble. 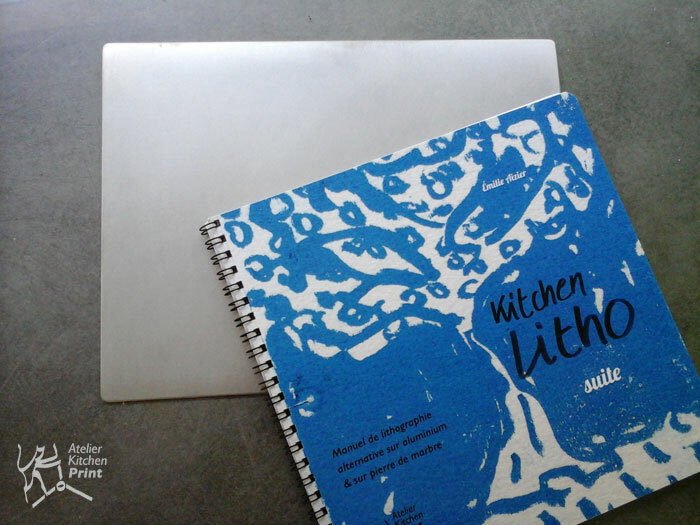 Translation from the original french manual "Kitchen Litho Suite" of Émilie Aizier alias Émilion. English translation of Simon Burder, artist & lithograph, based in London. 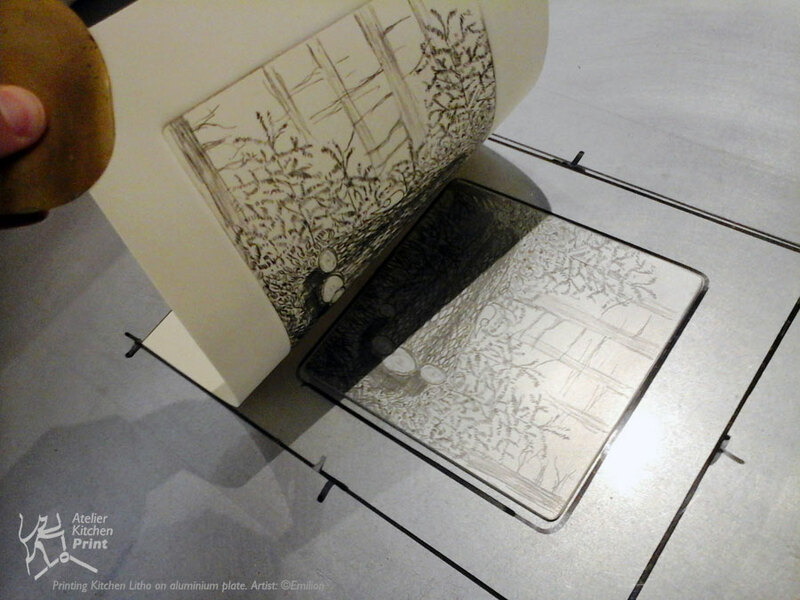 Preface by Maxime Préaud, Honorary curator of the National Library of France and President of Manifestampe, National Federation for printmaking art. Rare and original, this manual is entirely designed, developed and disseminated by the inventor Émilion. Do you know that you can reuse to infinity your plate or marble very easily without a real graining? 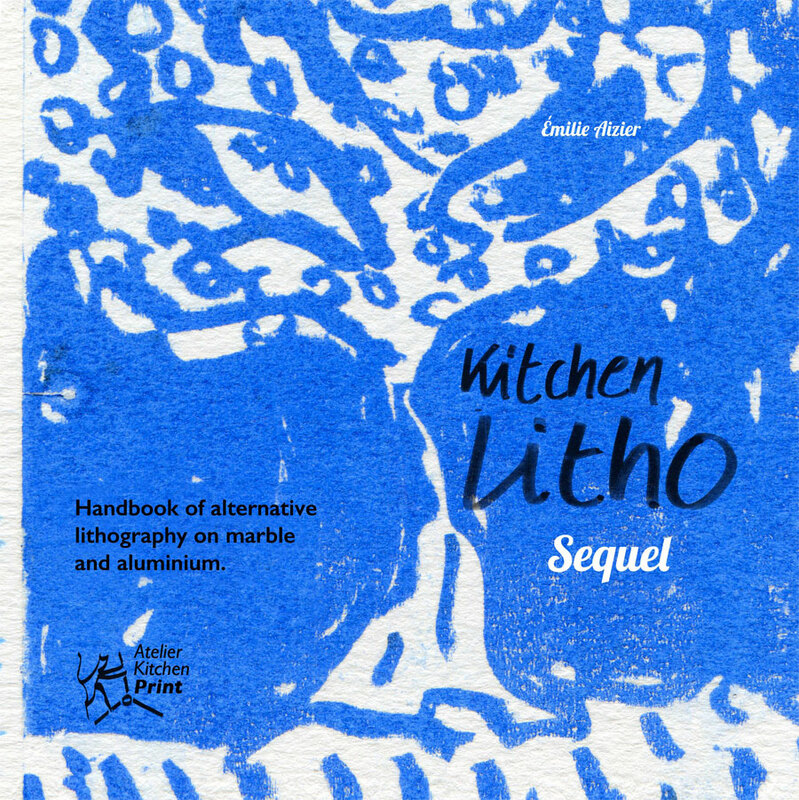 This book is for printmakers who want to practice Kitchen Lithography and broad their knowledge of the process. You will find advice and many tips to use when teaching in a group studio with both adults and children. 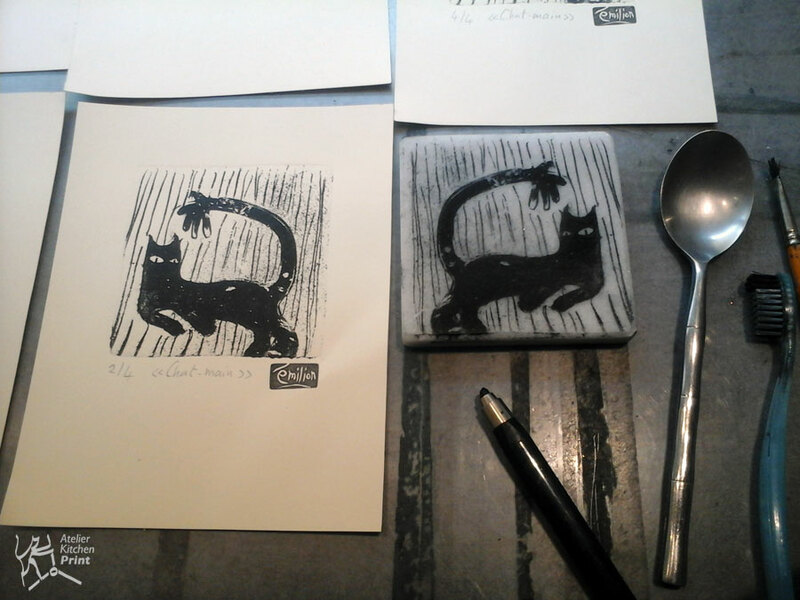 The handbook will demonstrate a simple and non toxic methods of lithography. 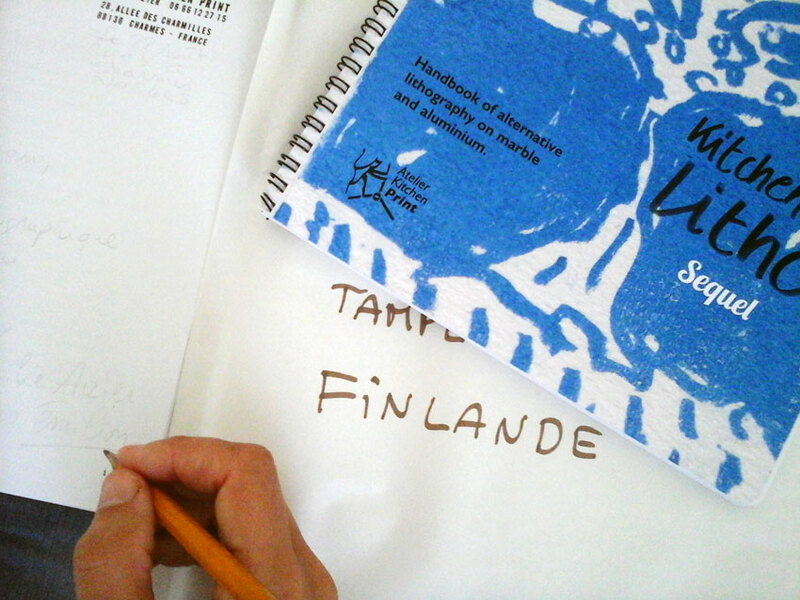 You also learn how to do a photocopy transfer, how to do papyrography... 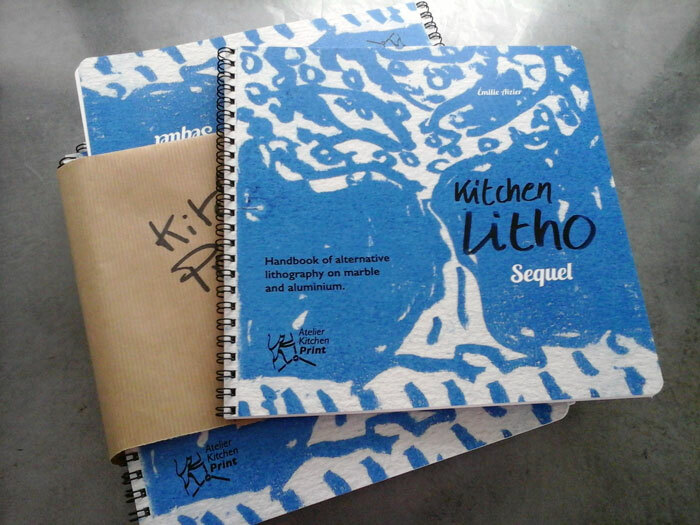 This straightforward process is explained in a clear and simple way together with the result of extensive research into the technique.The author is the inventor of Kitchen litho technique: Émilie aizier alias Émilion. 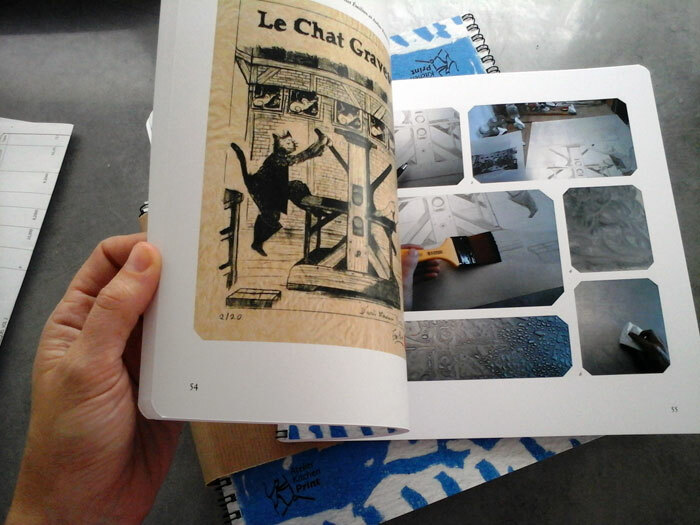 70-pages handbook (all color version) printed in France by the social establishment ESAT ESSOR. Color cover. 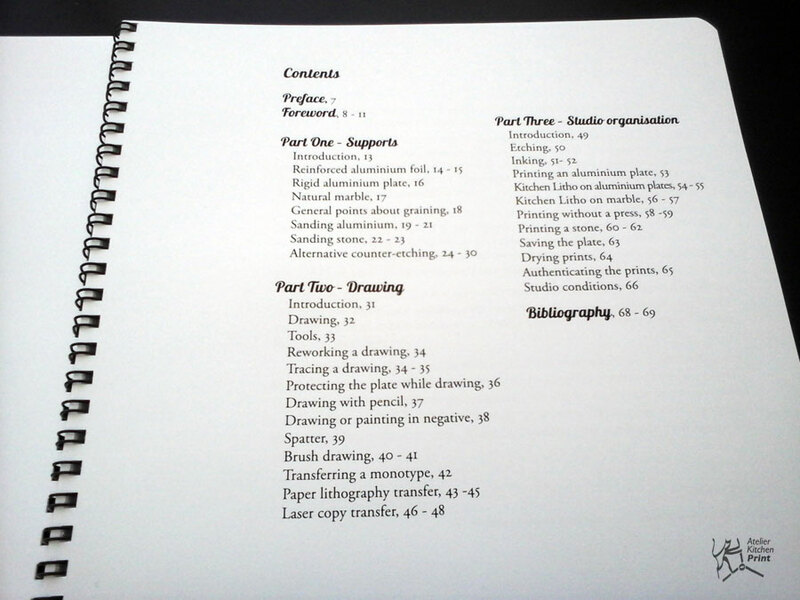 Spiral binding. ISBN 978-2-9547000-5-2. 1 - Choose in this page your flag language at the top. Now the shop's buttons are in english! 2 - Click on "Add to cart" and "Go to check out" button down this page. Discount for two handbooks. 5- Now you are in PayPal website: choose in first your language at the top right there is a drop-down menu in blue! ... Pay with security thanks to PayPal and validate your purchase. You will wait your handbook around 15-20 days for USA or Australia for example, sometimes less time but it also can takes three weeks. 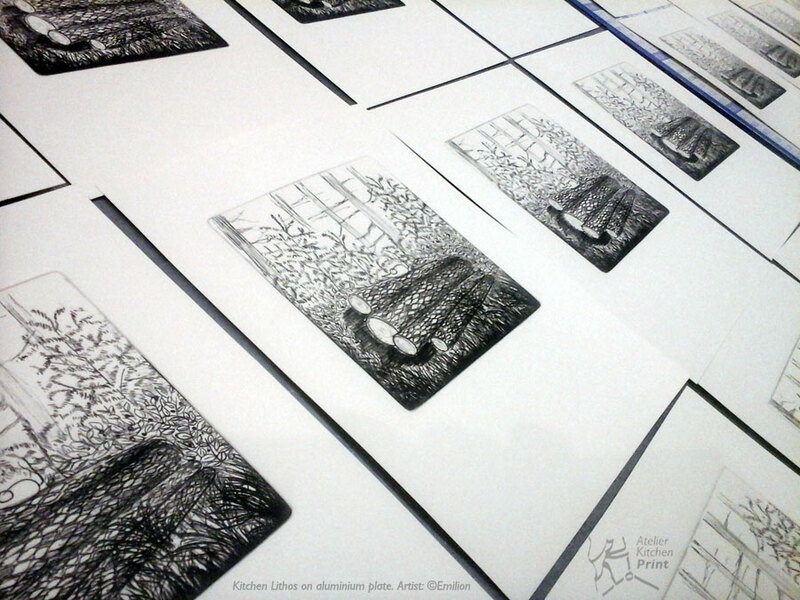 Example made with Kitchen Litho on aluminium plate and marble by Émilion.